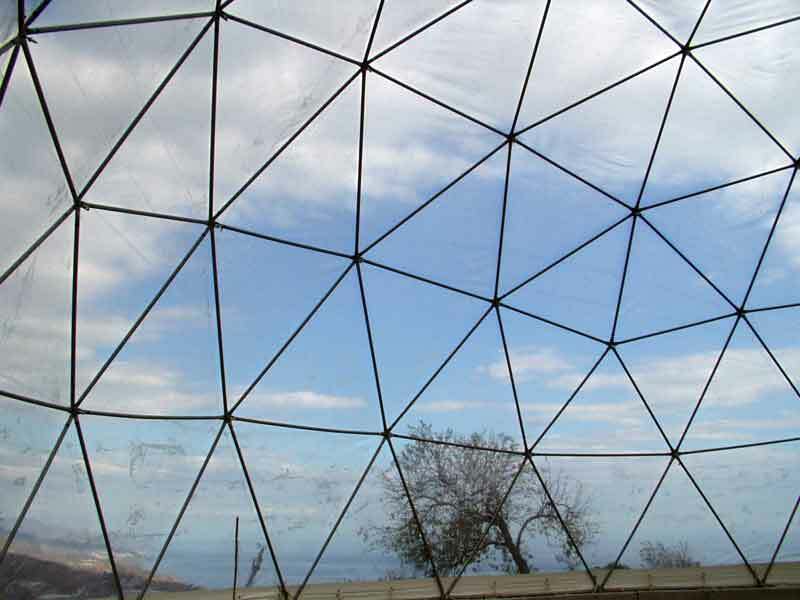 A selection of photos of our geodesic domes. 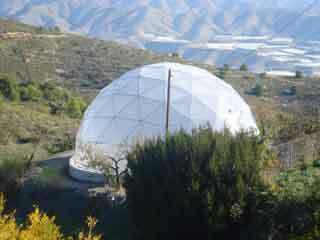 A 12 metre dome set in the beatiful mountaiins of Spain. 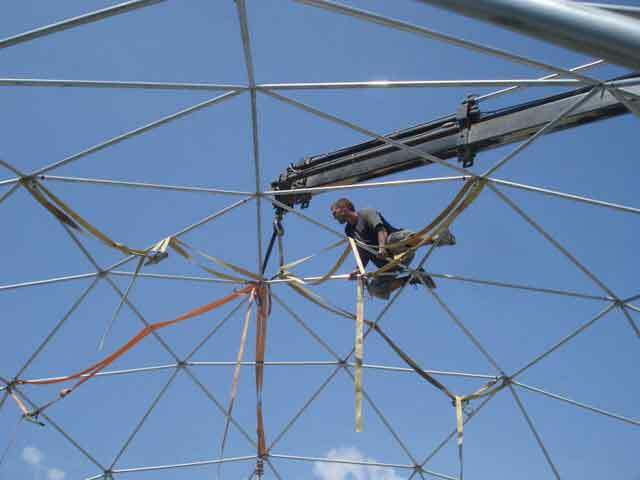 The larger domes require heavy lifting equipment. 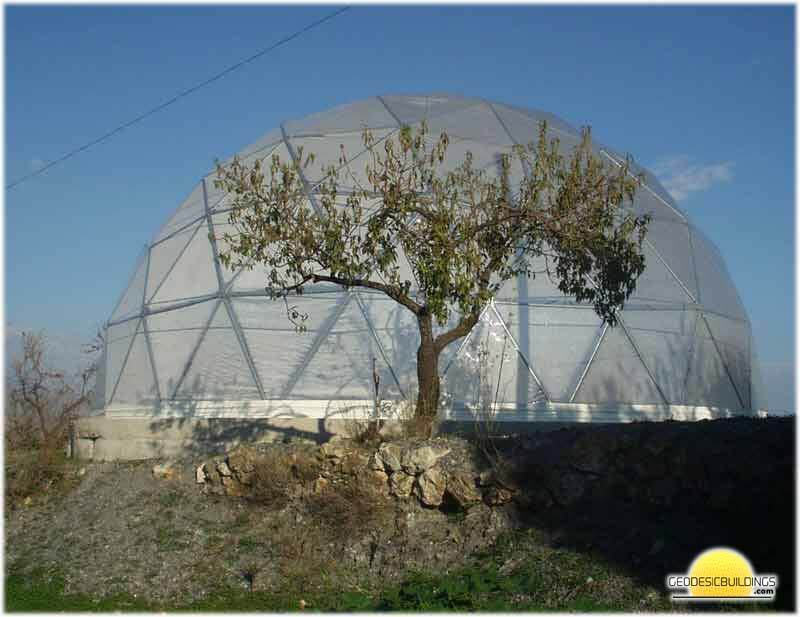 One of our domes in southern Spain with a clear PVC covering, a greenhouse dome. 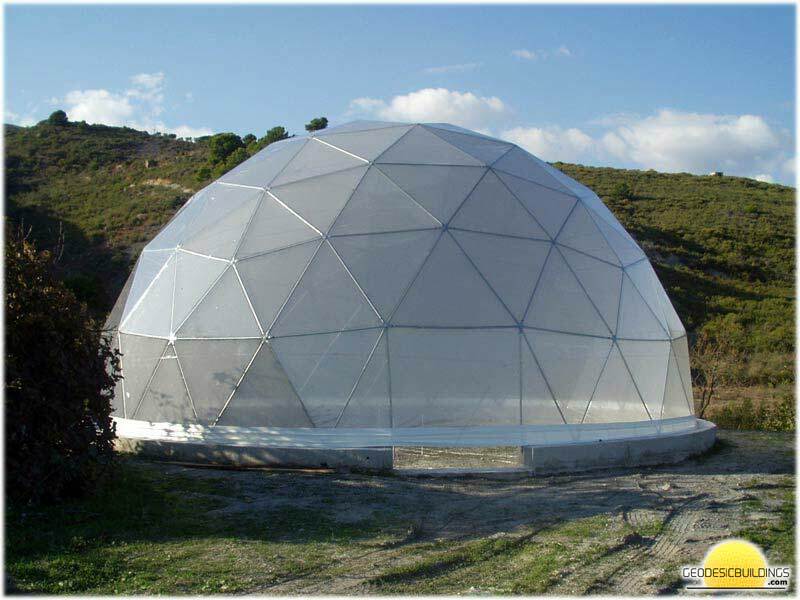 PVC covered 14 metre dome. 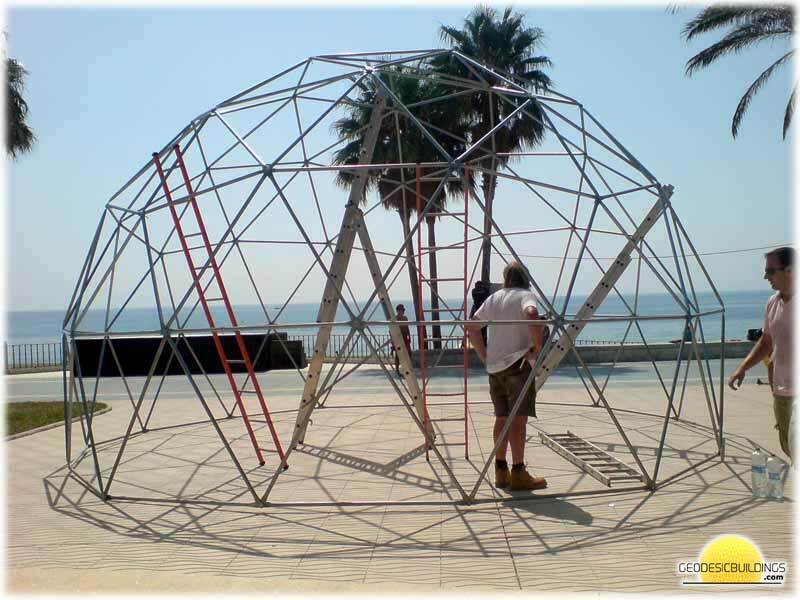 PVC covered dome ready for the doorway to be fitted . 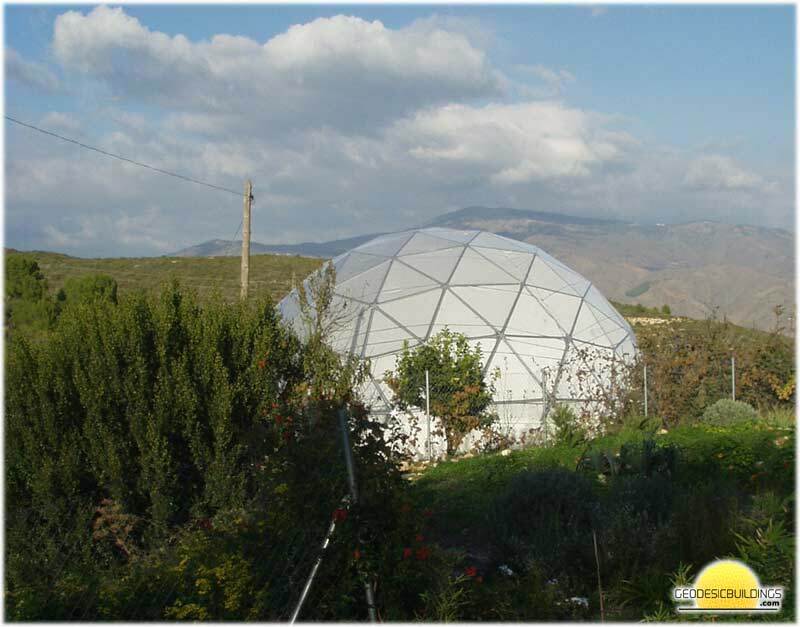 Our Geodesic domes can be converted for use as houses, click the image for full architect reports and more information. 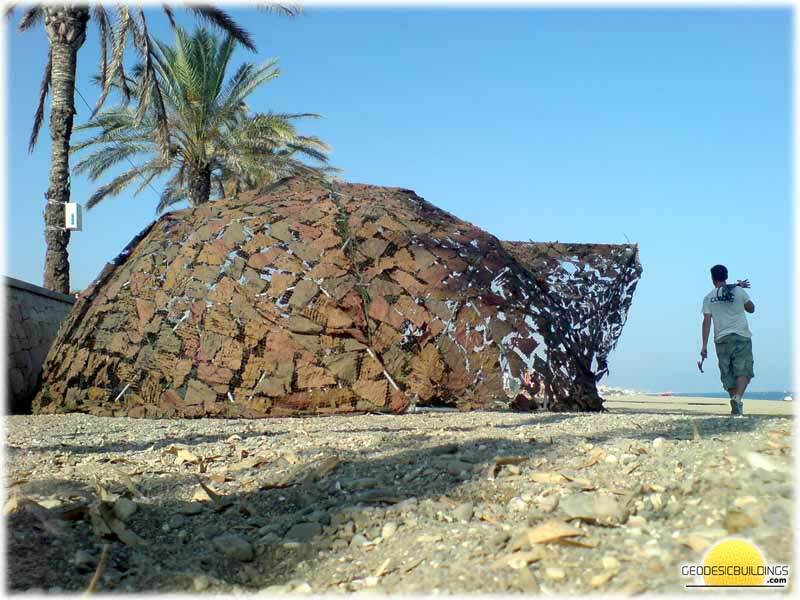 One of our domes set up on the beach with a camouflage net covering. 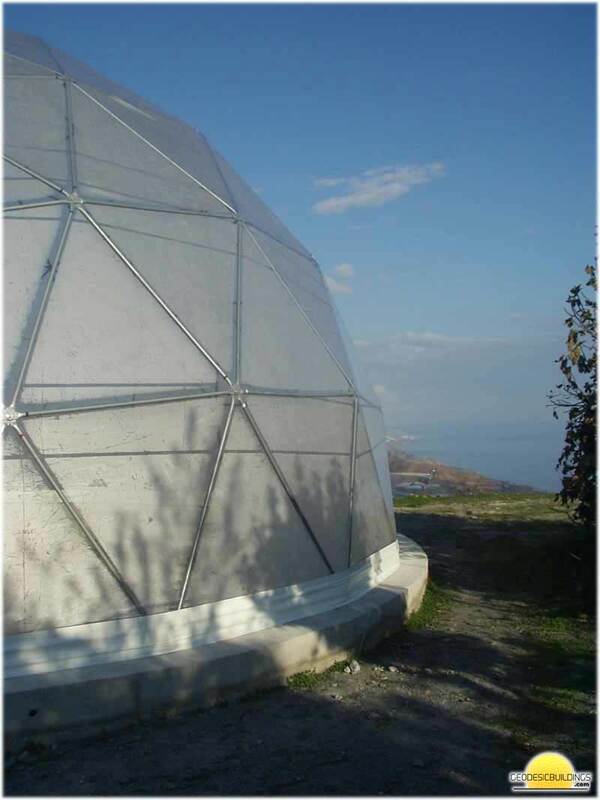 This shows our architect approved dome hub design, click the image for more details. 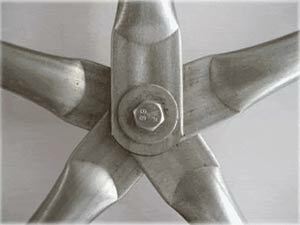 This photo shows the inner lining eye hooks. 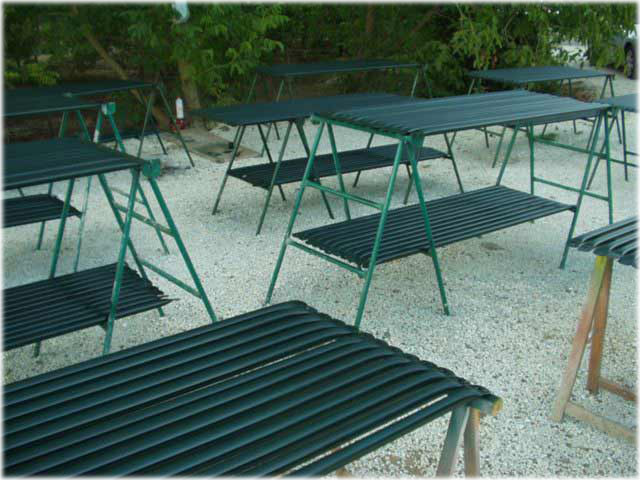 A close up of one of our PVC covers showing the quality of the fit and the workmanship. 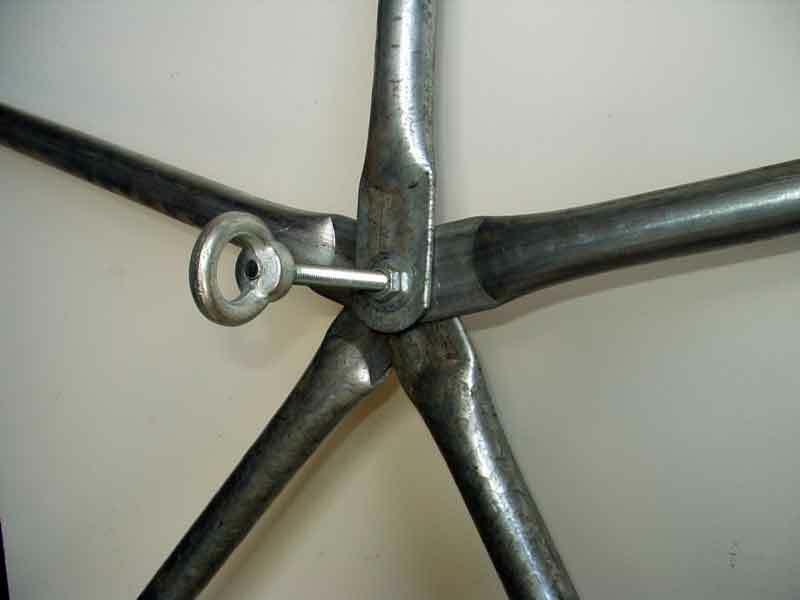 The poles are on the inside of the frame. 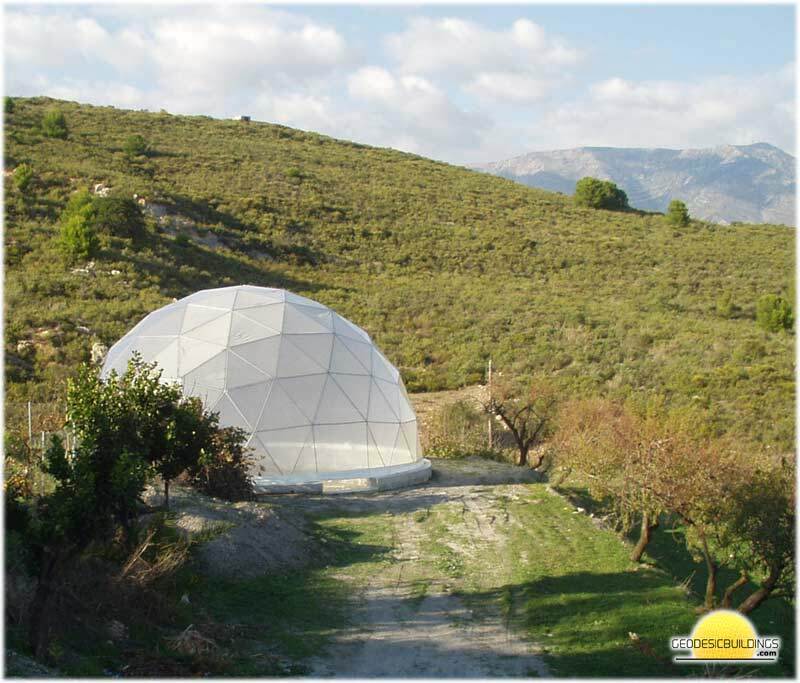 One of our 7 metre domes during construction on the boardwalk, San Pedro, Spain..
Part of the dome manufacturing process at our workshop in Coin, Spain. 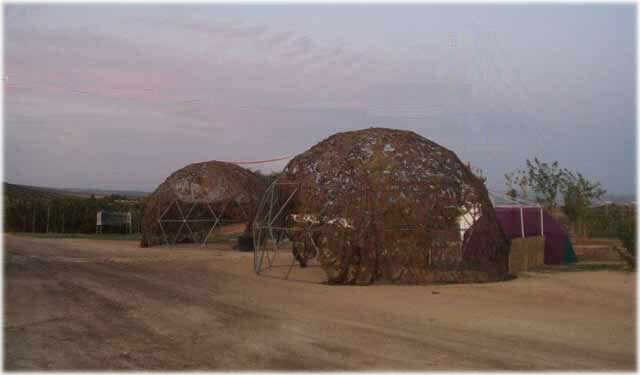 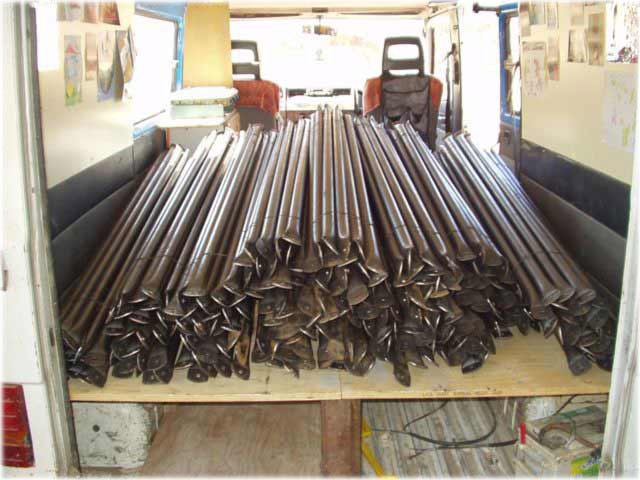 A small 6 meter dome requires a lot of poles!